Deciding whether to take hormone therapy for hot flashes, mood swings, and other menopausal symptoms can be impossibly complicated and anxiety provoking for women, but a new app developed by Brigham and Women’s Hospital researchers could make the decision much easier. Expected to be available for free download for the iPhone and other Apple devices at the end of October, the app called MenoPro, asks women about the severity of their symptoms, personal treatment preferences, and health history. The app recommends trying behavioral modifications for at least three months to treat hot flashes and night sweats like relaxation techniques, wearing lighter pajamas, or avoiding hot drinks. It then asks users whether they’re within 10 years of menopause and have heart disease risk factors such as diabetes, high blood pressure, or elevated cholesterol. Those deemed to be at high heart attack risk — which is calculated by MenoPro based on a new American Heart Association risk calculator — are informed that hormone therapy is too risky for them but that they should discuss other nonhormonal prescription drugs approved for hot flashes, such as the antidepressant gabapentin. The same message is transmitted to those more than 10 years past menopause. Doctors can use the “health care provider” section of the app to calculate a patient’s risk of breast cancer, heart disease, and osteoporosis, and how those risks may be affected by use of hormones. They can also get a summary of the latest research; for example, recent studies suggest women who use an estrogen patch, cream, or gel have a lower risk of blood clots or strokes than those who take a pill. “The app takes into account the most updated science on the management of menopausal symptoms,” said Manson, who led the giant Women’s Health Initiative clinical trial that uncovered health risks caused by long-term hormone use. All of the information provided can be e-mailed for future reading. 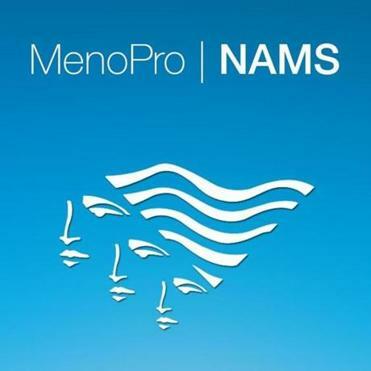 While MenoPro wasn’t developed with pharmaceutical industry money and won’t feature ads, it was created in conjunction with the North American Menopause Society, which receives funding from the pharmaceutical industry. Manson and her colleagues plan to unveil the new app at the menopause society’s annual meeting Wednesday in Washington. Kaunitz, who specializes in treating menopausal women, said he will urge his patients to try the app. Dr. Karen Carlson, who directs a women’s health practice at Massachusetts General Hospital and was not involved in developing the app, said it could supplement a decision-making video she provides to patients considering HRT that details the overall risks and benefits of hormone therapy. She said she’s eager to try the app herself. “Many of us do qualitative risk assessments in our head to help women understand their risks and benefits based on their health history, but the app’s risk calculator tools can help us give them real numbers quickly,” Carlson said. Manson said it takes two to three minutes for doctors to plug in a patient’s information and get treatment advice. “That would be great if it’s indeed the case,” Carlson said, because doctors likely won’t use it if it takes much longer.